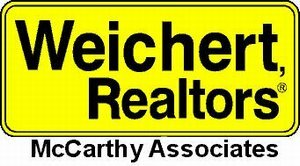 WEICHERT, REALTORS® - McCarthy Associates is located in the northwest section of Philadelphia, serving the communities of Chestnut Hill, Mt Airy, Germantown, East Falls, Roxborough, Manayunk, Cedarbrook and Oak Lane. A neighborhood institution, we have been locally owned and independently operated by the McCarthy family for over 50 years. 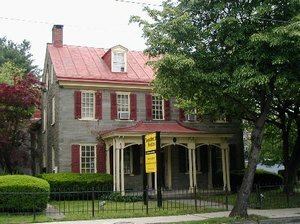 Thomas McCarthy opened the original office on Manheim St. in Germantown. Our present office is located in the historically certified Gorgas House. Today we offer the most effective and up to date real estate services. Whether you are selling or buying locally or relocating, our experienced sales associates provide professional expertise to handle your housing or real estate investment goals with dignity, effectiveness, and sincere personal attention. Chestnut Hill, Mt Airy, Germantown, East Falls, Roxborough, Manayunk, Cedarbrook and Oak Lane. From I-76 or CITY AVE. take the exit to LINCOLN DR/KELLY DR. Follow the signs onto LINCOLN DR. Turn right onto CARPENTER LN. Turn left onto GERMANTOWN AVE. The office is on the right. From the ROOSEVELT BLVD heading southwest take the FOX ST. exit, turn right onto FOX St. Turn RIGHT onto QUEEN LN. Turn left onto WISSAHICKON AVE. Turn right onto LINCOLN DR. Turn right onto CARPENTER LN. Turn left onto GERMANTOWN AVE. The office is on the right. From the Turnpike and points north and east take 309 south toward Philadelphia to the exit toward MT. AIRY. Stay straight to go onto S. EASTON RD. S. EASTON RD. becomes WADSWORTH AVE. and then EASTON RD. and then E. MT. AIRY AVE. Turn left onto GERMANTOWN AVE. The office is on the left.